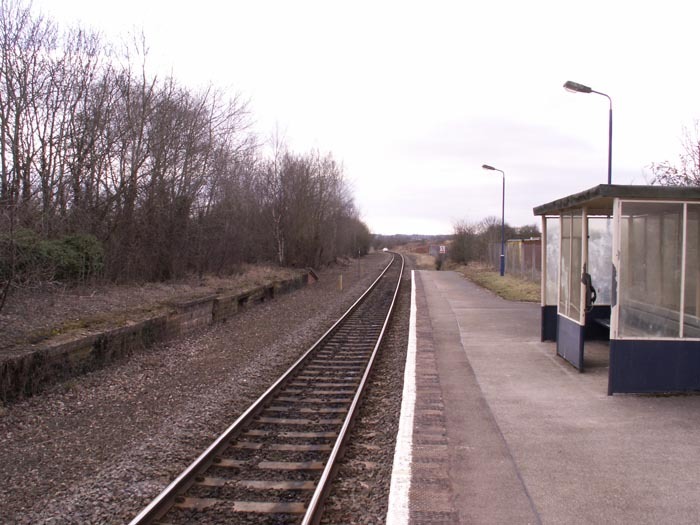 Bearley station sits on the GWR's Hatton and Stratford Branch which was opened to traffic in 1860 originally to mixed-gauge traffic due to the GWR's early predeliction for a 7' gauge. The station enjoyed both goods and passenger services receiving express as well as 'local' services with the GWR running a 'Shakespeare Express' from Paddington to Stratford that stopped at Bearley. 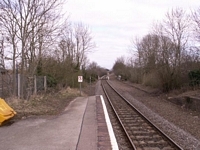 However, as with the majority of local stations, goods traffic declined to the point where the yard was closed in 1963 and passenger traffic, due largely to the preponderance of the car, dwindled sufficiently for the station to be reduced to an unstaffed halt, as it is today, serving infrequent local services between Stratford and Hatton and, more impressively, Chiltern Railway's London Marylebone to Stratford-upon-Avon service - although I have been unable to ascertain passenger numbers using the station. 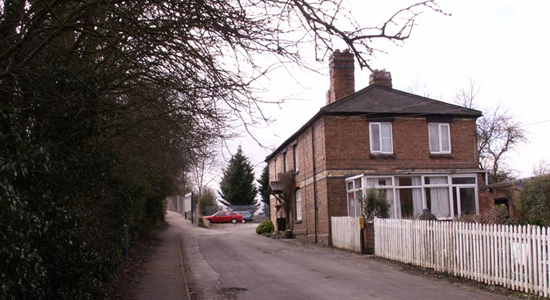 Above we see the entrance to the station from Birmingham Road (A3400) with the Stationmaster's house, now a private dwelling, dominating the driveway. I have to admit that with a rather grand Stationmaster's house and driveway I was expecting something more significant at trackside but was to be disappointed upon entering the station site to be greeted by the view above-left. Having seen many old photographs of the station with signal box, goods sidings, broad-gauge shed etc . 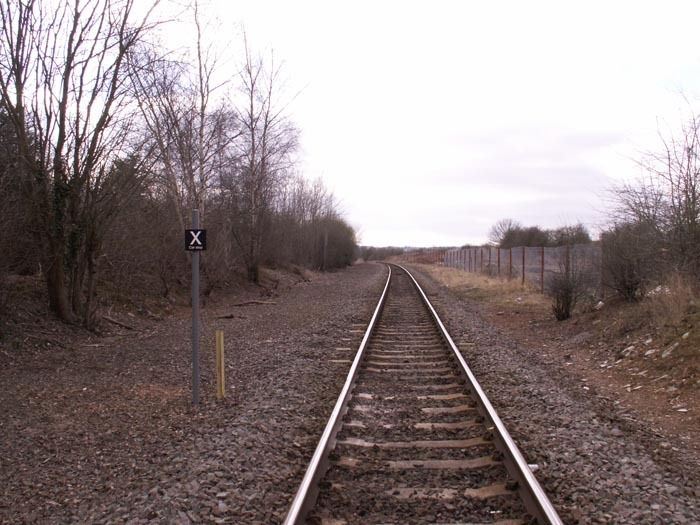 . . the site of a single-platformed unstaffed halt came as quite a shock. Above-right we are in roughly the same position but looking towards Claverdon and, beyond that, to Hatton. However, once I overcame my immediate dismay I began to notice a few points of interest and began exploring the site further. 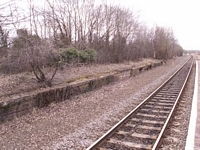 Above-left we are looking at what was originally the Stratford platform, the end of which housed a signal box controlling the goods sidings. 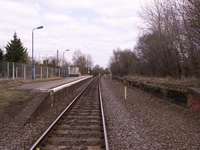 Furthermore, roughly where the bush is sticking-out on the left of the shot was a small, brick-built platform shelter. Above-right we are standing on the track at the 'Stratford-end' of the station. 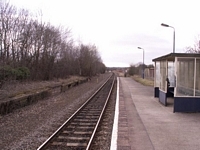 On the site of the bus shelter was the original brick-built station building, of small structure, with the usual protruding GWR-style canopy (the building being much reminiscent of that still standing at Tettenhall). More interestingly, to the left of the shot, the platform was double-sided with the far side fronting the goods sidings with a large brick shed also spanning the tracks which would have clearly been visible to the left of this shot. Above-left we are in the same position but have turned 180 degrees and are watching the singled line head-off towards Stratford. 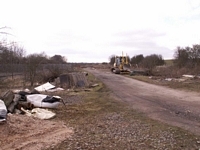 The area immediately to the right saw the fanning-out of sidings running into the goods yard and shed - behind-right. Above-right is basically the same shot as the one immediately above it but we have moved to our left so are now standing in the goods yard looking at the shed with the station to our right. 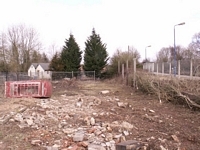 Judging by the state of the site, and content of the rubble on the ground, it appears that some railway structure hasn't long-been demolished. Above-left I have turned 180 degrees and am looking at the sidings as they would have merged to the left and joined the 'main line'. 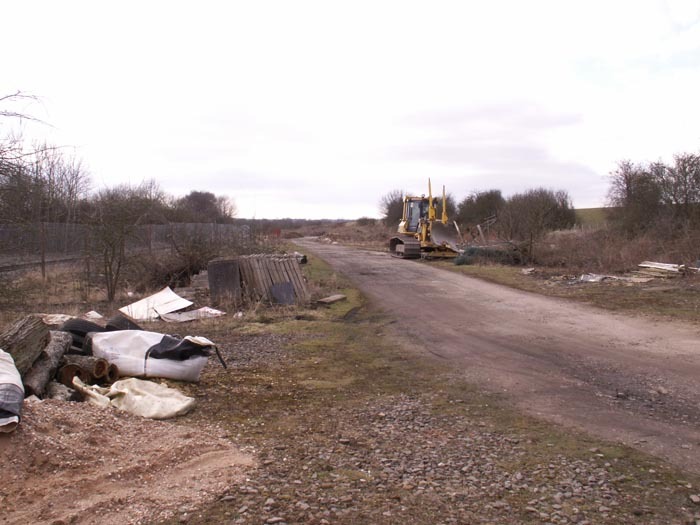 The bulldozer and various other bits of plant machinery at the site suggests that some form of either construction or clearance work is underway but I could not discern what. 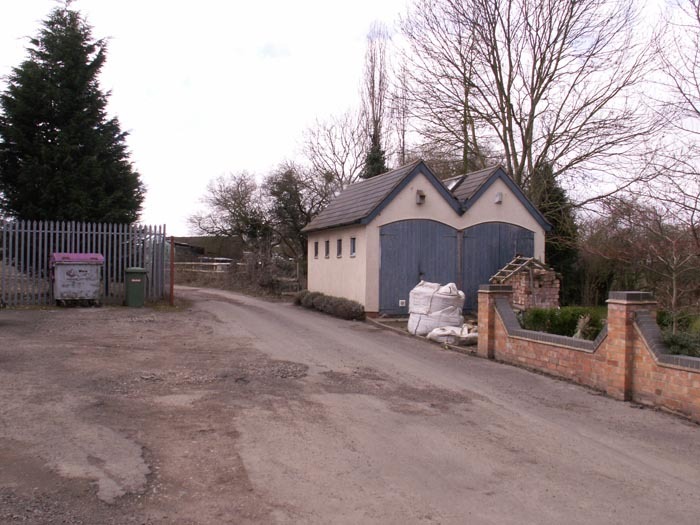 Above-right we are back on the entrance driveway with the station to our left (off camera), and the entrance to the goods yard and rear of the goods shed ahead-left. However, the structure to the right, which appear to be utilised as a garden shed/garage of the station house, screams 'railway' to me but I could not confirm this as I have not seen photographs of this part of the site - but it looks like railway architecture to me! All-in-all, this was a very interesting site to visit but I would certainly recommend viewing as many old photographs of it as possible before you visit as otherwise it gives the instant impression of an uninteresting halt.